How do we save you time, money and stress? You have a professional on your side to help you navigate the challenging Danish rental market. You can ask us all your housing related questions and you will always be treated as more than just ‘another client’. You don’t need to subscribe to any housing portals, the costs of which can really add up. You get the best possible contract terms. We know how to negotiate in relation to contract length, termination clauses etc. You will save yourself time, hassle and money in the long term by making sure you have a well-worded housing contract. As deposits are so substantial in Denmark, it makes a big difference to have a solid contract and move-in report which keeps your deposit safe. You get a friendly, professional and fair housing agent. We treat all of our clients as individuals – you’re not just a number on a spreadsheet. As a Charlie’s Roof client we can advise you on any number of questions relating to your move to Copenhagen, and if we can’t, we will know someone who can. We work with lots of fantastic partner companies, so that we always have you covered. With know-how and experience with the Danish Rental Market, Homestead recognizes that tenant & landlord responsibilities in Denmark are very different from most other countries. Homestead guides international tenants appropriately, while ensuring they uphold their obligations correctly throughout the leasing period and hand back the property to its contractual state – providing peace of mind for landlord and tenant. No matter what your background, Holmgaard Management can guide you in relation to your career options in Denmark. Holmgaard Management is a company with a huge network among Danish and international companies that can provide you with career advice, coaching and advice about your options in the Danish labour market. They have international certification and guarantee a professional, valuable service. Furthermore, as a Charlie’s Roof client you can avail of a free consultation. For more information, go to www.holmgaardmanagement.dk. 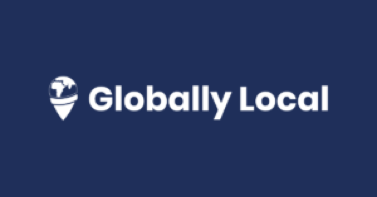 Globally Local is a consultancy firm that offers services and packages that support the well-being of locals, expats and Global Danes, by providing tools to the organisation, the employee and their families in order to achieve integration and internationalisation goals. So if you are in need of some extra support during your relocation, Charlie’s Roof and Globally Local will be glad to assist. Check out www.globallylocal.dk for more information. Strømlinet’s price guarantee is your guarantee for a competitive price all year round – no matter how much electricity you use or where you live in Denmark. They guarantee that your electricity price is always lower than the average market price of variable electricity products.